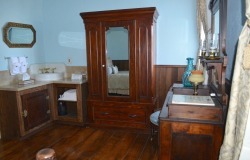 Our historic hotel rooms will transport you to the 1850’s. 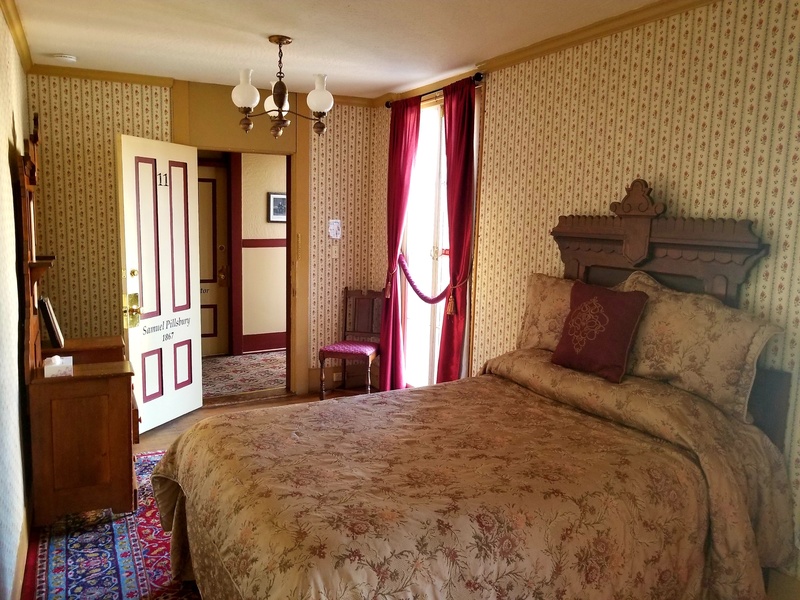 The historic rooms are furnished with authentic period antiques and have been occupied by such notables as Mark Twain, Black Bart, Susan B. Anthony, John Wayne and President Ulysses S. Grant. 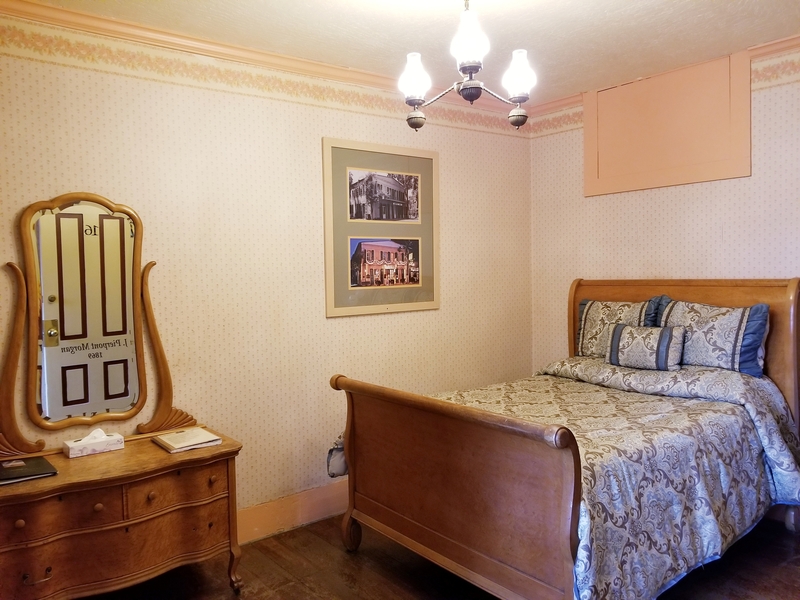 To maintain the historic ambience of the hotel, the historic rooms DO NOT have modern amenities such as televisions, telephones or central heating/air. 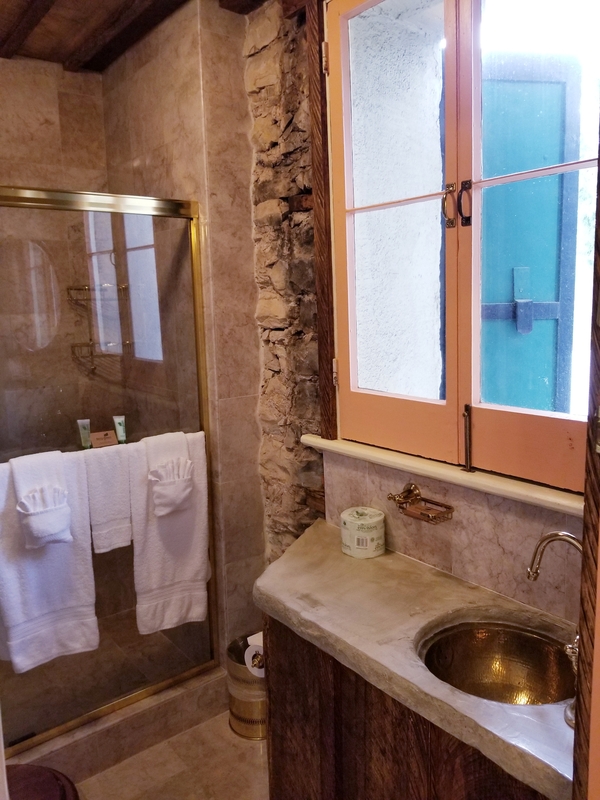 All historic rooms have shared restrooms and showers located down the hallway unless otherwise noted. Coffee service is available in the lobby daily at 6:30 AM. 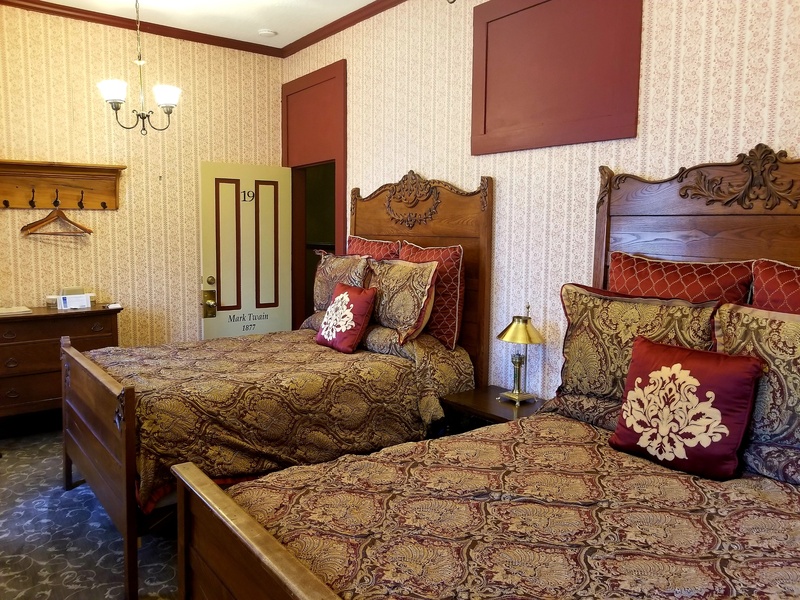 These rooms may get noisy as they are located over our lively saloon. Ulysses S Grant was the 18th President of the United States from 1868-1876. 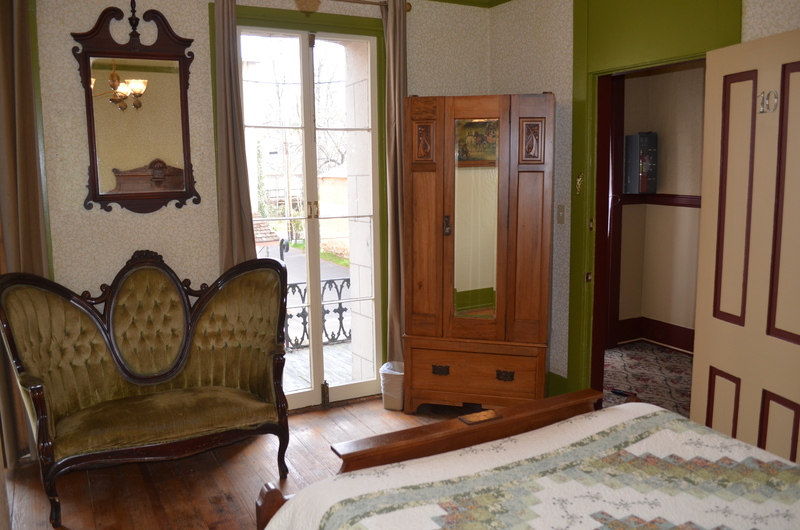 He stayed at the Murphys Hotel in 1880. His visit was during his venture out west to find new investments after a world tour and a failed bid for a third term. 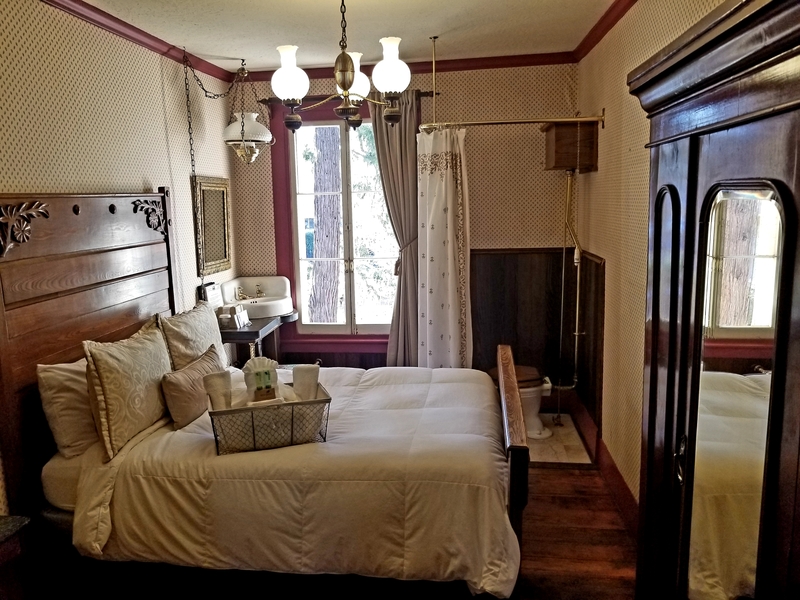 The room features a 19th century coal stove, the original bedframe and the barber chair used when he visited, as well as a piano. 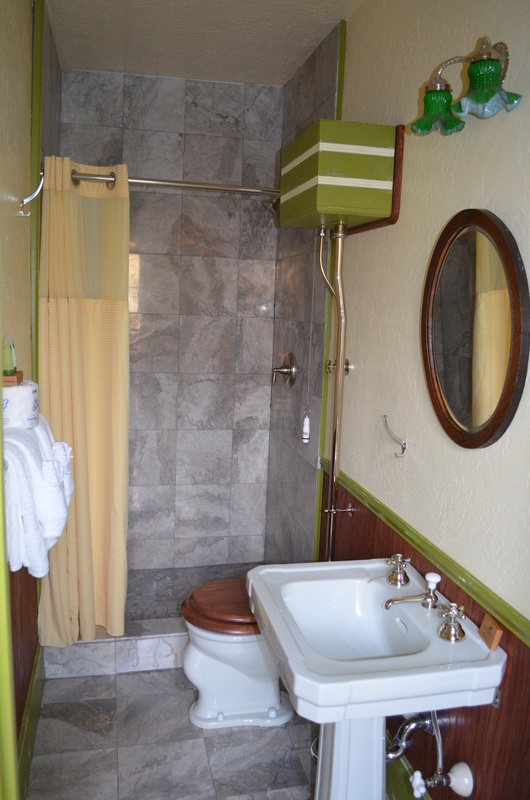 Most recently, it was given a makeover on the TV show “Hotel Hell”. This room offers one full bed. Thomas Lipton was the founder of Lipton Tea. He stayed here in 1880. 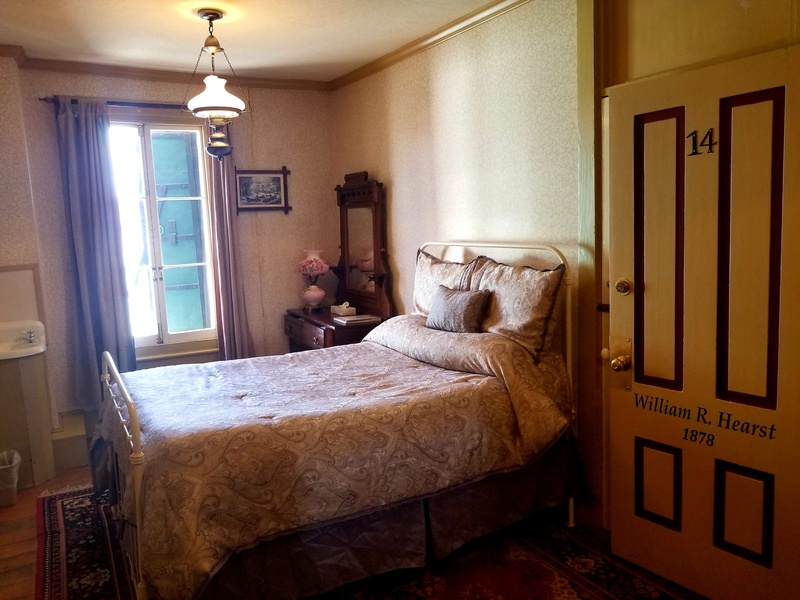 He was born in Glasgow but had come to the United States to make his fortune by expanding his company with the slogan “Directly from the tea gardens to the teapot.” This room is reputed to be the most paranormally active room in the hotel. 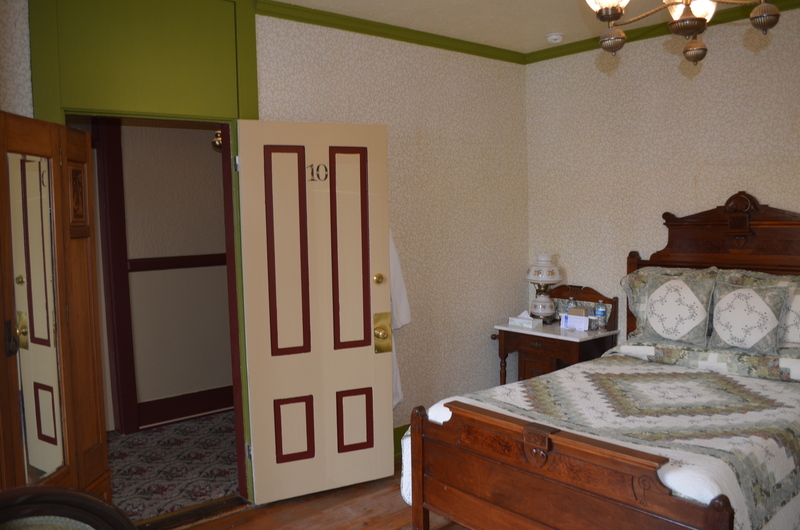 This room offers one full bed and a toilet for convenience. 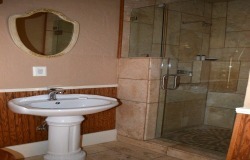 Please note this room does NOT have a private shower. John Jacob Astor IV was the great grandson of fur trader and real estate mogul John Jacob Astor I. He helped build the Waldorf-Astoria Hotel in New York. He died in the RMS Titanic sinking in 1912. He stayed here in 1878. 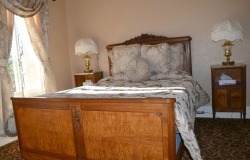 This room features one full bed, front balcony access and a private bathroom. Samuel Pillsbury was the founder of Pillsbury, Inc. He stayed here in 1867. 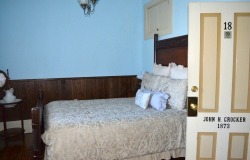 This room features a one full bed and balcony access. William Hearst was a newspaper publisher for the San Francisco examiner and later the New York Journal. He was elected three times for the House of representatives. His media empire still exists to present day and is known as the Hearst Corporation. He visited in 1878. This room features one full bed. JP Morgan was a high society financier and banker. His company of the same name later merged to become General Electric. He also financed the White Star Line when it built it’s Olympic Class passenger liners, most notably the RMS Titanic, on which fellow guest John Jacob Astor perished. He visited in 1869. 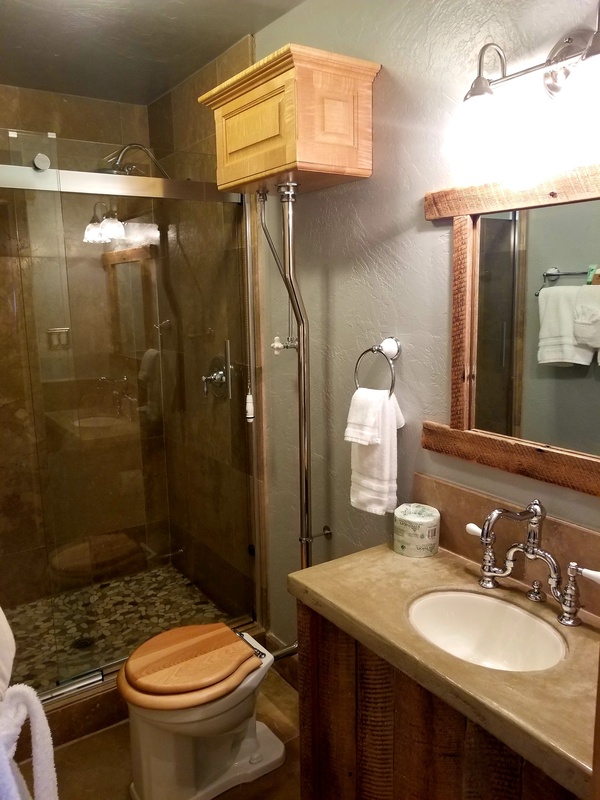 This room features one full bed and a private bathroom. John Crocker was a British veteran of both world wars and other battles. During D-Day he was charged with the task of holding two beaches in Normandy, and to get to nazi-occupied Caen, France. He visited in 1973, having been retired for some time from the post of Chief of the Imperial General Staff. 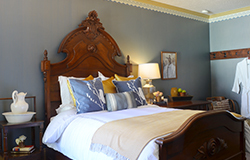 This room features high ceilings and a one queen bed. Samuel Clemens – known primarily as author Mark Twain – wrote many short stories and novels which have remained famous to this day. Besides being an author and adventurer, Samuel Clemens was also an inventor. He stayed here in 1877. 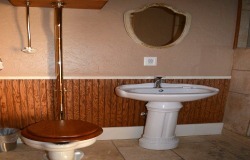 This room features a private bathroom and two full beds.